Awards season is in full swing. 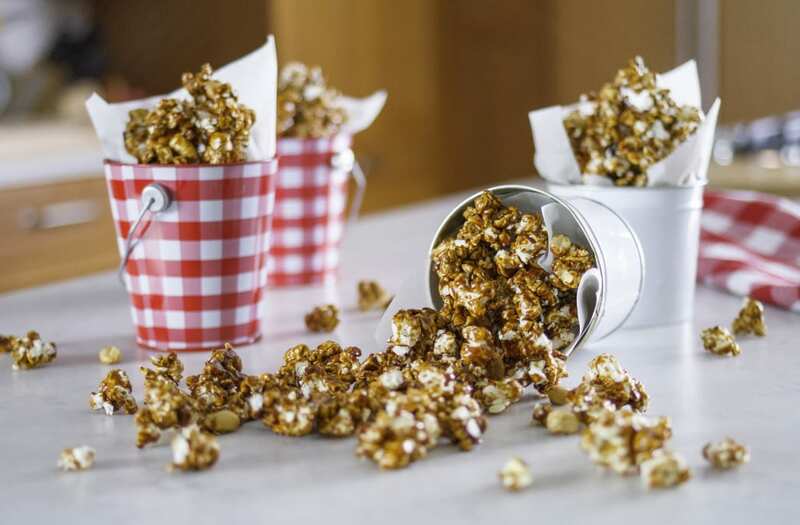 With the Academy Awards only a few days away, it's time to vamp up your Oscars party menu -- and there's no better way to celebrate than with this tequila-spiked caramel corn! Sweetened with agave nectar and spiked with tequila, this adult popcorn is a delicious party treat. In a pot, mix brown sugar, butter, agave and corn syrup. Boil for 4 minutes on medium. Pour caramel syrup over popcorn. Bake at 250 degrees for 1 hr.